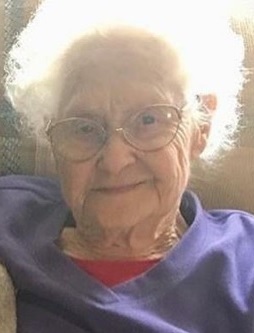 Julia C. Lowe (nee George), 89, of North Ridgeville, passed away Thursday June 21, 2018 at St. John Medical Center in Westlake. She was born February 16, 1929 in Lawrence County, KY. She had been a resident of North Ridgeville since 1963. Mrs. Lowe was a homemaker. She enjoyed being outdoors, gardening, animals and bird watching. Mrs. Lowe is survived by; two sons, Fred Lowe (Terril) of Monterey, CA and Robert Lowe (Vickie) of Elyria; one daughter, Rita Reitknecht (Britt) of North Ridgeville; eight grandchildren; five great-grandchildren; one brother, Garland George (Vivian) of Jewel Ridge, VA; one sister, Nancy White of Clio, MI; and by many nieces and nephews. She was preceded in death by; her husband, Fred Lowe in 2012, a son, Michael Lowe in 2013, her parents, James and Virginia (nee Allen) George, and by a brother, Herbert George. The family will receive friends on Wednesday June 27, 2018 from 5 to 8pm at the Liston Funeral Home, 36403 Center Ridge Road (at Stoney Ridge Rd. ), North Ridgeville. The funeral service will be Thursday June 28, 2018 at 11am at the funeral home with Rev. Brian Gardiner officiating. Burial will be at Resthaven Memory Gardens in Avon.